In this experiment you will analyse some innovative materials that are highly water repellent, stainless and require less cleaning thanks to their surface nano-engineering. Those materials have been developed using nature as an inspiration, since some plant leaves have exceptional properties due to their surface composition. 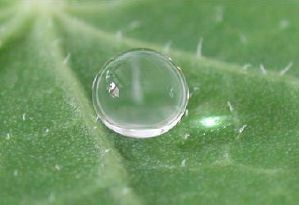 The property you will analyse is the superhydrophobic effect found in some leaves, such as the lotus leaf. The effect is due to interplay of surface chemistry and surface topography at the micro- and nano-level. Download the documents below to carry out the experiment and watch the information videos available below. Please note that the experiments described in the following training kit use chemicals which need to be used according to MSDS specifications and specific school safety rules. Personal protection must be taken as indicated. As with all chemicals, use precautions. Solids should not be inhaled and contact with skin, eyes, or clothing should be avoided. Wash hands thoroughly after handling. Dispose as indicated. 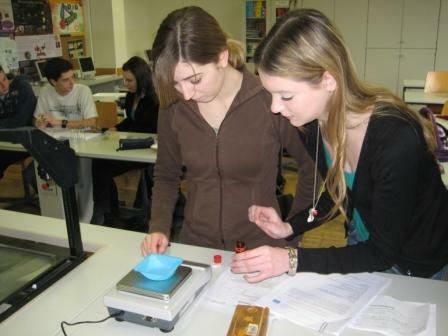 All experiments must be conducted in the presence of an educator trained for science teaching. All experiments will be carried out at your own risk. Aarhus University (iNANO) and the entire NANOYOU consortium assume no liability for damage or consequential losses sustained as a result of the carrying out of the experiments described. Experiment with Superhydrophic materials by NANOYOU is licensed under a Creative Commons Attribution-NonCommercial-ShareAlike 3.0 Unported License. However, this does not apply to some images used in this kit which are protected by copyright. Click here to view a list of these images. Permissions beyond the scope of this license may be available contacting ARTTIC.